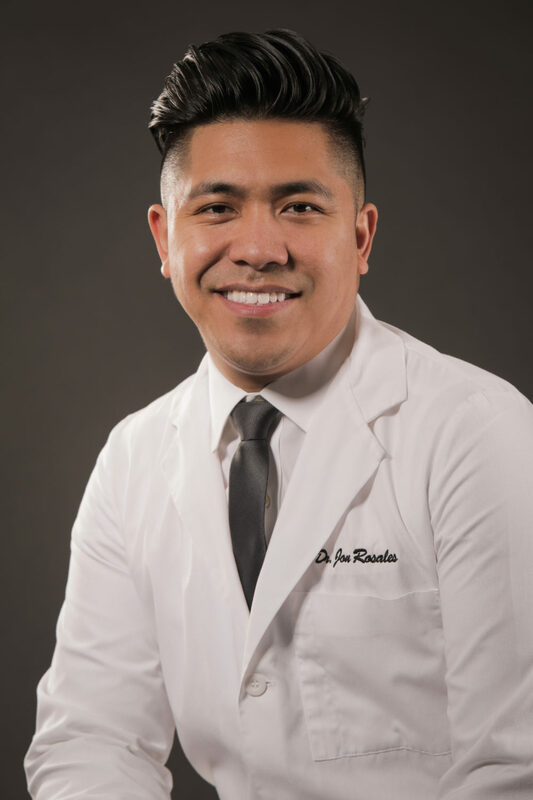 A Nevada native, Dr. Rosales was born and raised in Las Vegas. He attended the University of Nevada, Las Vegas where he received both his undergraduate degree in biology and his degree of Doctor of Dental Medicine. Dr. Rosales’s passions include cosmetic dentistry and oral surgery but is very skilled in all aspects of dentistry. Dr. Rosales remains up-to-date in the latest technologies and advancements in the field and utilizes laser treatment in his office, as well as Invisalign, an alternative to conventional braces. Request a time and date below and we’ll follow up as soon as possible to schedule your appointment. Amazing team members! I've been pretty traumatized with my mouth and dental work from previous places and everyone here really helped ease and comfort my fears. My deep cleaning was amazing and I'm very thankful to have found this place. 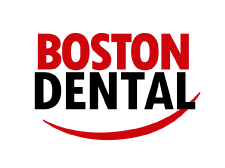 Boston Dental is great! The staff is very helpful and friendly and Dr. Rosales is fantastic. Love coming here! I love this dentist so much, and Kristine is absolutely amazing at what she does. I had a basic cleaning done with a fluoride treatment and my teeth have never felt better! Best dentist ever! Dr. Jon-Christopher Rosales Is great ! very professional and kind .also the others doing there job great. really like to come to that office . I really like the office staff and Dr. Rosales. They don’t try to insist on excessive procedures in order to charge the patient more. I came in for cleaning and that’s what they did. Also very convenient being here in Anthem. Today was my first visit and I feel comfortable that it won’t be my last with this dental group. Dominique handled my x-rays and was professional & efficient. She was able to answer any and all of my questions. Dr. Rosales was exactly what I was looking for in a dentist – thorough, patient-focused, and up-to-date with the technologies and services necessary to provide real dental and oral care. I’ve been in Las Vegas for 10 years and this was the first time a dentist checked my gum pockets, which is essential. Christine was my hygienist and exceeded my expectations. She advised me on maximizing my dental care using dental floss and water piks. I now feel like my visits to the dentist will be time and money well spent. Great service. No pain. Love going to the dentist. I have to say, I was a little skeptical at first as I'm a horrible grinder, and my teeth are pretty hard to work on. However, Dr. Rosales is an amazing dentist. He has a great chair side manner, and he genuinely cares about the quality of his work. He's also great with kids!! My boys are 4 and almost 6, and he's extremely patient with them for their cleanings (and even two small fillings on my oldest today). My entire family goes to his office for our dental care, and I would highly recommend him to anyone I know. I loved how thorough and meticulous they were. I had to get several things done and every step was explained along the way including the cost. I felt so valued as a patient, especially from Dominique. I also like the team work of the office. Everything flows so well and the doctors/hygienists all seem to get along. It was fun to watch. Lastly, the office is beautiful!!! Boston Dental Anthem is great! The staff is very friendly and helpful. They do a great job on my 6 month cleanings! I am getting a molar implant and it’s in the latter stages of competition. The implant screw fell out and with a call they were able to get me in ASAP. Thank you so much!! And to the receptionist who was helping out at the Anthem office you are awesome and very helpful! Been coming here since 2015. Staff are nice and I did my invisalign retainers here. Near at my house and very flexible on scheduling. They also remind you your appointments by email and text. Staff is very knowledgeable and explains everything as they work. Everyone is kind and accommodating and does an excellent job! I am so pleased with the staff and professionalism of Boston Dental. The office is spotless, the equipment top notch. I had an emergency on Memorial Day weekend and they got me in immediately. My situation which is huge will be solved by ThursdayThank you, thank you to Dr. Rosales and his fantastic crew. I highly recommend Boston Dental!! Awesome dental office! Always friendly and helpful, never have to spend long when I come in. Highly recommend to anyone looking for a dentist! Dr. Rosales and his staff were professional and friendly. I was able to get my procedure done same day. Also convenient location if you’re in Anthem Highlands. Would recommend them! They are always polite and helpful. They take the time to answer your questions and explain your options. I never feel pressured. Very clean office. Professional and thorough dental hygienist and tech. I was very comfortable during my visit. I was a cash-pay patient and they were super nice and not pushy. They answered my questions very directly and honestly. I really enjoyed my experience and will continue to go there for my dental needs. My husband and I have been going to this location for over a year now, and we love the staff. Nikki, our hygienist is a rockstar, she is super nice, and always does great job. Thank you! My wife ends up being correct once again...but I'm glad I decided to listened to her and switched to Boston Dental. This place is great! No one really likes going to the dentist, but Boston Dental makes it a pretty pleasant experience. My new hygienist, Nikki was so thorough and knowledgable. Her bedside manner made me feel like I was in good hands and I really felt like she cared. Definitely recommend! Friendly and extremely accommodating office. I love that they have Saturday appointments. Clinicians are knowledgable and only do what is appropriate for your health. I appreciate that they don’t try to sell me things like other dental offices. I enjoy the professional and friendly staff. They're organized and quick. My favorite person there is Dominique. Conversations with her are very enjoyable, and she gives me a free toothbrush, toothpaste, and floss after every visit. Sign up as a new patient, schedule a regular cleaning, or inquire about our other dental services. We will contact you as soon as possible to confirm your appointment time.